The passage of the New Jersey Compassionate Use Medicinal Marijuana Act (CUMMA) in 2008 set the table for the stringent rules, regulations, and application procedures necessary for patient access to medical marijuana. Unlike many states with medical cannabis laws in place, New Jersey requires that treating physicians, not patients, initiate the application process. 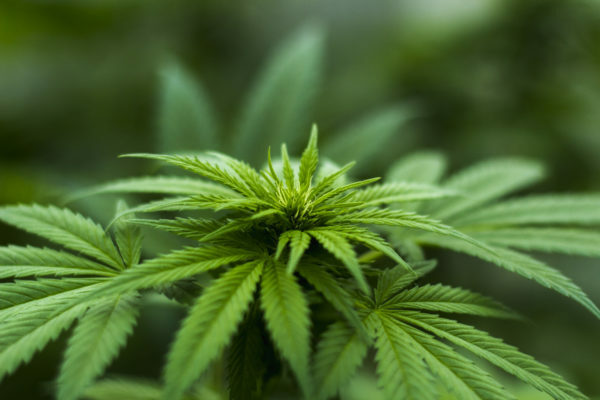 The processes involve separate application for physicians, patients, caregivers, and Alternative Treatment Centers (ATCs), which are the only legally recognized medical marijuana cultivators and distributors for patients. Our lawyers provide comprehensive and experienced legal counsel to cannabis businesses in all aspects of their formation and ongoing operation. As general counsel, we are equipped to provide our clients legal guidance on how to form and maintain proper medical cannabis business entities in compliance with state and local law and relevant guidelines, and plan for adult-use licenses; obtain licensure and permitting; stay current and compliant with state law and local ordinances; identify, assess, and manage risks; and maneuver expertly through any dispute or controversy they may face. Our attorneys provide state and local permitting and licensing expertise for medical cannabis dispensaries, cultivators and manufacturers. By understanding the complexities of New Jersey’s licensure procedures, we are able to aggressively guide clients towards establishing cannabis businesses and maintaining positive relationships with state and local governments and regulators. At LoFaro & Reiser, we represent a dynamic and diverse group of entities from a variety of industries in all aspects of their business formation, regulation, operation, expansion, and dissolution. We are a full service firm providing counsel to our clients in all essential business transactions, such as entity formation (including limited liability companies and partnerships), corporate governance matters, loan agreements and financing arrangements, licensing and lease agreements. In addition, we provide counsel on the full range of business and corporate law matters. The cannabis industry presents unique legal challenges that our firm is poised to handle when those challenges result in litigation. Whether it be theft of trade secrets, partnership disputes, real estate matters, disputes between cannabis businesses and local governments over zoning requirements, employment laws, cannabis product labeling requirements, branding and intellectual property protections, commercial licensing agreements, vendor and ancillary business contracts, or advertising and marketing regulations, our firm is equipped to handle your cannabis business litigation needs. Contact Eric D. Reiser to schedule an appointment to discuss your cannabis business venture or litigation matter. There are only 3 ATCs currently licensed for production and distribution, with an additional 3 in the ‘pending approval’ stage. Click here for more information on ATCs. Three important NJ Senate and Assembly bills were submitted in 2014 which could impact both the existing legislation governing CUMMA and establish new legislation if passed. A3525 would expand CUMMA by increasing the number of licensed ATC’s, allowing patients to grow and possess plants, adding more debilitating conditions, and removing the sales tax. A218 would decriminalize possession of certain amounts of marijuana by any adult with up to 15 ounces. S1896 propose to regulate and tax marijuana like alcohol. A2068 would legalize the recreational sale and use of marijuana by any adult. Firm Disclaimer: Please note that using, processing, distributing and/or selling marijuana is illegal under federal law, regardless of any state law. While federal enforcement policy may defer to states’ laws and chose not to enforce conflicting federal laws, businesses and individuals should be aware that compliance with state law does not assure compliance with federal law. Federal laws may be enforced in the future. No legal advice given by LoFaro & Reiser, LLP is intended to provide any guidance or assistance in violating federal law. For further information on this topic or to discuss your case, please contact Eric D. Reiser. © 1997 - 2016 LoFaro & Reiser, LLP. All rights reserved. Advertising Disclaimer: This web site constitutes an ADVERTISEMENT. Before making your choice of attorney, you should give this matter careful thought. The selection of an attorney is an important decision. If you believe this web site is inaccurate or misleading, you may report same to the Committee on Attorney Advertising, Hughes Justice Complex, CN 037, Trenton, N.J. 08625. For the comparison standards employed by the various lawyer rating companies, please visit superlawyers.com, bestlawyers.com, bestlawfirms.usnews.com, societyoflegaladvocates.org, and avvo.com. *The Super Lawyers list is issued by Thomson Reuters. A description of the selection methodology can be found at www.superlawvers.com/about/selection process detail.html. No aspect of this advertisement has been approved by the Supreme Court of New Jersey.